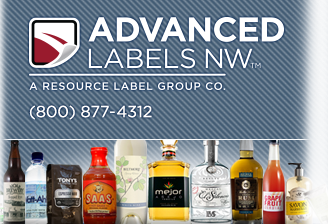 Advanced Labels NW is a leader in label printing for vaping products, offering a wide range of custom e-liquid bottle labels and stickers to help you stay competetive in a growing market. We have worked with local and nationwide vape enthusiasts to bring their flavors to market with beautiful self-adhesive labels. Regulatory requirements and the inherent small size of these labels pose unique challenges to vape brand owners, and Advanced Labels is here to help. Your e-liquid labels should truly represent the quality and uniqueness of the vape juice in your bottles. Refillable vaporizers offer your customers the opportunity to sample from the many flavors of e-liquid available today, with varying amounts of nicotine and even nicotine-free formulations. 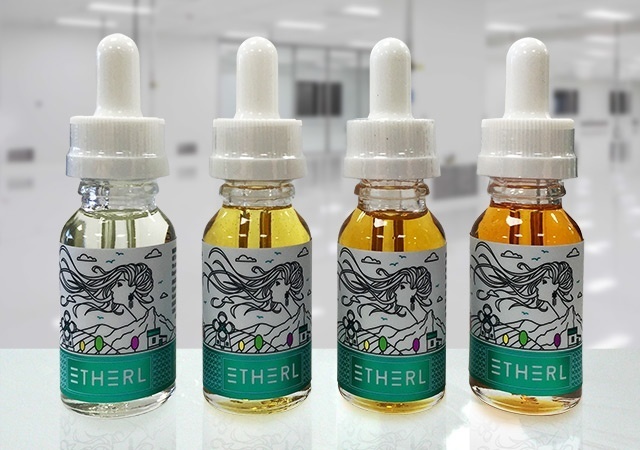 Whether it is referred to by the vaping community as e-liquid, e-juice / ejuice, e-cig liquid, vapor bottles, vape juice, or simply 'juice', the products are typically sold in 5mL, 10mL, 15mL, 20mL, or 30mL bottles. 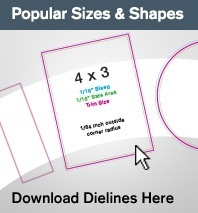 You can download templates of the most common label sizes for both 15mL and 30mL e-liquid bottles below. For additional dieline sizes, please visit our popular label shapes & sizes page, or contact us today. We currently have over 5,300 label shapes & sizes in stock, and we're ready to help produce your e-liquid bottle labels today! The key to success in the competitive vape market is to stand out and get noticed with professional e-liquid labels. E-liquid labels printed by Advanced Labels will always be of the highest quality and durability, helping create a package your vaping customers will remember. We work with our clients on selecting the right e-liquid label material for every project. We know how to make e juice labels, and we will guide you through the process. Our minimum order is 1,000 labels per size, and versions may be combined where applicable to reach the minimum. Choosing the right label material is the most important consideration when labeling your e-juice bottles. There is always a possiblility of your product dripping down and coming in contact with your vape label. 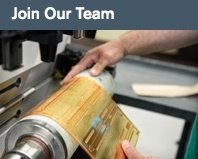 Label application and storage conditions such as temperature and humidity may also need to be considered. A label specialist will discuss the label material options with you to find the best choice for your e-juice bottle label needs and your budget. There are several label material and treatment options available, for both squeezable plastic bottles and glass bottles, with or without droppers. E-juice labels tend to be quite small, which poses a unique challenge for label designers. We always encourage market research when designing a new label, and brands offering e-liquid refills are no exception. 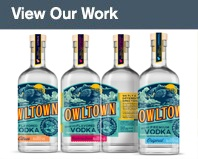 Creative use of custom labels can help your products catch a customers eye and increase your chance to make a sale. Extensive FDA regulations for e-liquid products and accessories have been published as of May 10, 2016 and can be viewed online here. The final rule requires the warnings to appear on at least 30 percent of the two principal display panels of the package. Excerpt from "Tobacco Products" Subject to the Federal Food, Drug, and Cosmetic Act, as Amended by the Family Smoking Prevention and Tobacco Control Act, Section II B, subsection 4, Required Warning Labels. E-liquid brand owners are encouraged to become familiar with the full extent of the FDA Final Rule, which include the use of Helvetica or Arial fonts at a 12-pt minimum size, among other regulations. We recognize the challenges of adding extra warnings and disclaimers to such a small label and would be happy to discuss any design and layout concerns you encounter during the label design process. Count on Advanced Labels to produce attractive and durable ejuice labels that elevate your brand above your competition. Contact us today for free samples or a e-liquid label quote. Stay up to date on the latest special offers for e-liquid labels by signing up for our newsletter. Simply submit your email using the form on the left. These are our most popular sizes. We have 5,300 label sizes and shapes in stock now, please contact us for custom label dielines.